People really underestimate the power of morale. Having a staff with high morale will pay dividends on your investment many times over. There is a saying in the business world, “Take care of your employees, and they will take care of your customers.” This is almost always the case. Happy customers keep your business running full-steam ahead, and they often refer and recommend new potential clients to you. You build brand loyalty this way and foster an incredible reputation. The question is, how do you go about this? How do you keep your employees happy? Companies that get the most out of their employees invest in proper training to help them perform at 100% all the time which help them overcome any obstacles in their way. Doing an annual training class goes a long way. This will allow them to continue to develop their skills and acquire new ones while constantly moving forward. Monetary incentive, in my opinion, goes further. Here at Pot-O-Gold Rentals, we invested in our drivers in a major way. To start, we hired William Mueller, our safety coordinator. He has made some incredible strides with our drivers. Our drivers also underwent the Smith System driving course which teaches drivers how to minimize accidents, keep their head on a swivel, and to pay attention to details most drivers miss. We have also started to give out quarterly and annual safety bonuses to our most exceptional drivers who have remained accident-free for the quarter. If our drivers remain accident-free over the course of the entire year, they get a nice fat bonus in a golden envelope. That is a total of 5 opportunities a year to earn something for their efforts. Extra money is always a great incentive. After the aforementioned investments, we have seen a drastic decline in accidents and customer complaints. Our last safety meeting here at our Hammond office was nothing but the singing of praises. 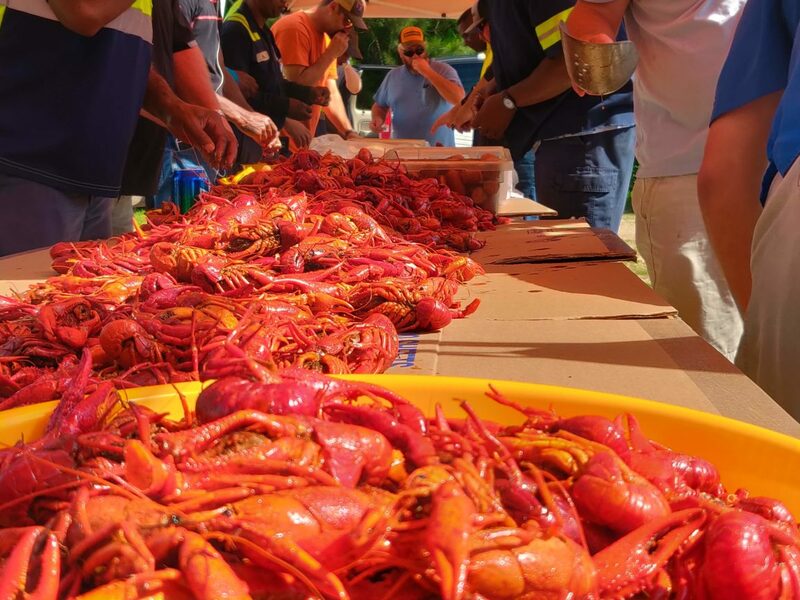 Our drivers were treated to a crawfish boil and $10,000 in safety bonuses were handed out. Our Hammond office didn’t have a single accident in the first quarter of 2019. Our drivers are happy and the results speak for themselves. It’s easy for employees to feel disconnected and unhappy with their job. They show up to work for a paycheck and that is it. As a result, these employees foster poor customer interaction. Talk of poor customer service spreads like a virus. Unhappy employees burn out, and when that happens you will begin to see the negative effects take hold. It’s much easier to damage a reputation than it is to build it back up. If you can’t take care of your employees, how can you expect them to care for your customers? Encourage them to address their concerns. This shows them that you care about their well-being and are willing to hear them out. People like to have fun. They aren’t a walking incarnation of the old grumpy cat meme. Provide opportunities such as holiday parties, picknicks, a softball game, etc. throughout the year for employees to relax and bond with other employees outside of the work environment. Encourage your employees to bring their families to these events. It shows that you value your employees’ family connections. We hold a potluck here at our Hammond office every year for Thanksgiving and we also throw a Christmas party. Gifts are exchanged and merriment is made. For birthdays, our CEO buys the entire office lunch which is always appreciated. The way to everyone’s heart is food. Everyone loves tasty delicious food. These are just a few ways to really invest in your employees. Happy employees make happy customers. You take care of them, and they will take care of the customers. It really is that simple.